a timely discussion of a new book! FREE to both SWINY and MetroNY AWIS members!! 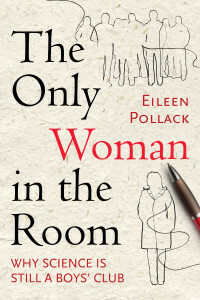 Join the Science Writers in New York (SWINY), MetroNY AWIS and the NYU Chemistry Club Graduate Student Organization for a panel discussion on the new book The Only Woman in The Room: Why Science is Still a Boys’ Club. Tuesday, October 20, 6 to 8 p.m.
To follow the panel discussion.